Bridges over moats, and ancient constructions worthy of a castle! The Netherlands has a history unique in Europe. I flew from Virginia to Boston to Amsterdam in early January with no idea what awaited me. 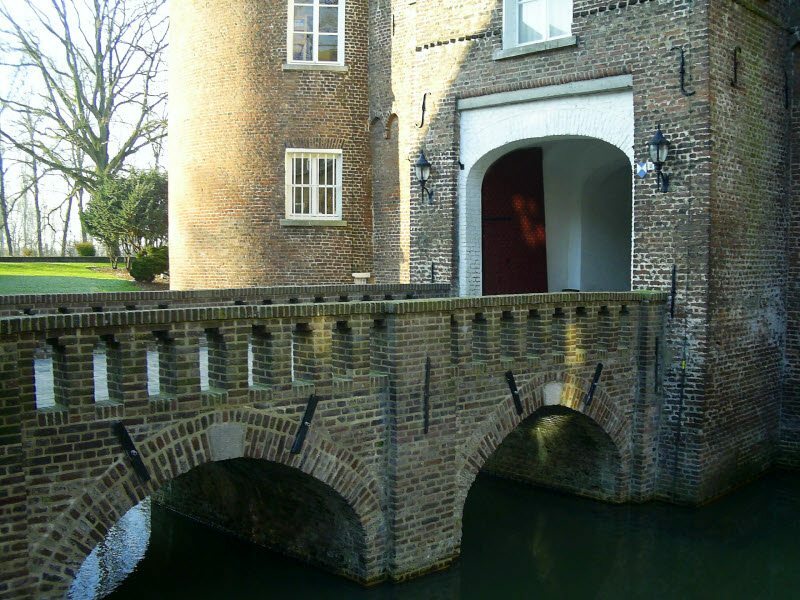 I was a sophomore in college and had been given a unique study abroad opportunity: to live in a 14th century Dutch castle and travel throughout Europe. After the jet lag wore off, I found myself surrounded by two moats, a flock of castle-dwelling peacocks and 85 similarly travel-hungry American students in the tiny town of Well, The Netherlands. Now, my particular situation may be atypical, but The Netherlands proved to be a vacation haven for any and every one. The language barrier is non-existent. My most traumatizing language confusion involved nearly buying dish detergent instead of laundry soap. The gracious storeowner set me straight and laughed at my attempts to thank her in Dutch. “We all speak English here, too,” she assured me. The scenery of The Netherlands is unparalleled with beautiful, flat expanses of farmland that explode into Technicolor squares of tulips in the spring. Aqueducts and rivers run straight and undisturbed for miles. The cities are equally unique with their brownstone buildings, winding canals and urban bridges that may make you think of Boston, if it had been built using Venice, Italy’s blueprint. You feel history bubbling to the surface of this contemporary, progressive society. The Dutch live life with a general sense of fun and wellbeing. 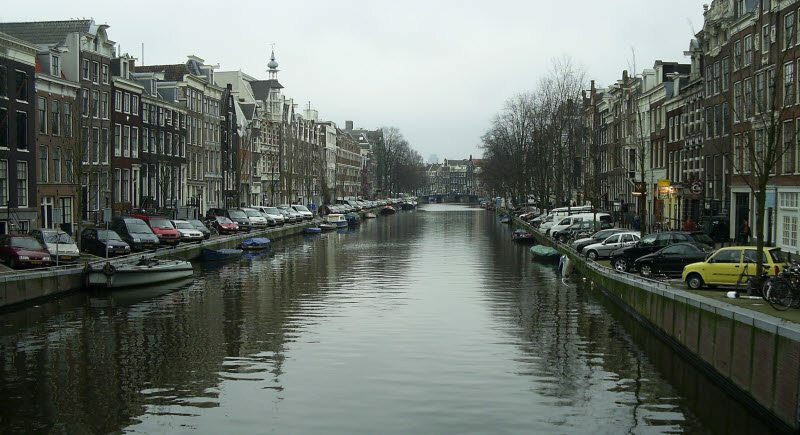 The famous city of Amsterdam is quite unusual to what we see in North America. Homes and shops built along the system of canals create an incredible juxtaposition between modern and vintage! Amsterdam holds treasures like the Anne Frank House and small, night carnivals in Dam Square. The Hague, the government seat of The Netherlands, houses the mysterious and alluring Girl With The Pearl Earring painting by Vermeer in the Mauritshuis Museum. Rotterdam has a lovely zoo and fantastic international film festival in late January. From countryside to urban landscape, The Netherlands simply feels inviting. I traveled alone and in groups from border to border, and even while adventuring on my own, felt a sense of closeness with the local community that hasn’t always been easily replicated in my other travels. The bus and train systems are easily navigable, hostels and hotels friendly and warm. But no matter where you go, be sure to take advantage of the many street vendors selling frites (French fries) and sauce in wax paper cones. Don’t be put off by what looks like, and is sometimes called, mayonnaise. It’s much more like an olio sauce, tart and creamy in equal measures. I couldn’t recommend The Netherlands more, really. After living and traveling the country for over four months, I’m forever looking for the slightest excuse to return.